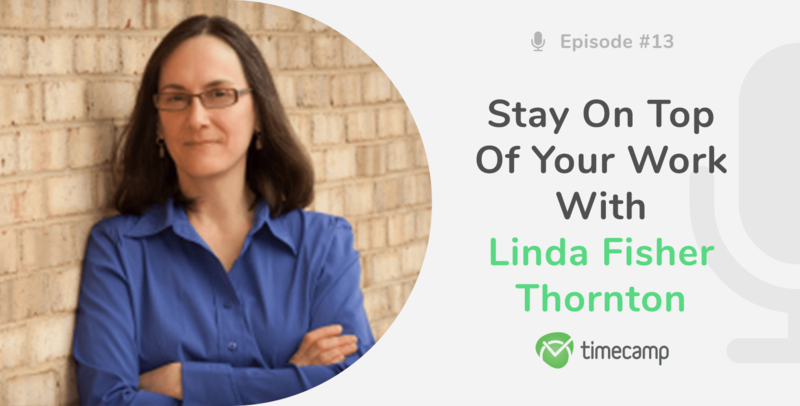 Stay on Top of Work With Linda Fisher Thornton! 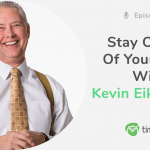 It’s Wednesday and it’s podcast time at TimeCamp! This time my guest is inspiring Linda Fisher Thornton, CEO of Leading in Context LLC, author of 7 Lenses. Helping leaders and organizations Unleash the Positive Power of Ethical Leadership, and Professor at University of Richmond. 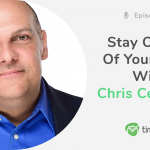 We talk about leadership, how to lead your team to a success, what does it mean to be a leader, and why is ethics in business. Listen to today’s episode to find out the 7 lenses of ethical leadership! Enjoy and let us know in comments what are your thoughts on today’s episode! 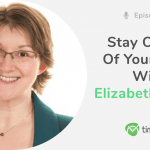 Kate: Welcome back, this is Kate with another episode of the podcast Stay on Top of Your Work and today my guest is Linda Fisher Thornton. Linda is CEO of Leading in Context – an ethical leadership development consulting firm. She is the author of the award-winning and bestselling book 7 Lenses: Learning the Principles and Practices of Ethical Leadership, now in its second printing. She is in the Top 100 Leadership Speakers for 2018 in Inc Magazine and her Leading in Context Blog is in the Top 100 Socially Shared Leadership Blogs. Linda has also been honored by Trust Across America with a Lifetime Achievement Award for her work. Linda, I’m happy that you joined me here today. Linda: Thank you, I’m glad to be here. Kate: Thank you for coming. I’d like to begin with the question: can you say a little more about yourself and what are your professional interests? Linda: Sure, I’m interested in ethical leadership development. Most people are familiar with leadership development, leaders learning how to do their jobs more effectively. I focus specifically on ethical thinking and ethical action. How can leaders see way beyond the profit of something to their full impact. So that they can understand how to make good decisions and develop good interpersonal relationships that are respectful and that sort of thing. I was senior vice president and chief learning officer for a bank and teaching leadership and I noticed there was this gap in the leadership models. The people were talking about good leadership in ways that didn’t include ethical values and I just knew that something was wrong with that and the training on ethics and values was usually separate but if you learn something separately, it’s very difficult to put the pieces back together when you need to apply it, when you have tight deadlines, and rapid change, and your trying to make a good leadership choice, it’s very difficult to figure out on your own how to put leadership and values back together. So I started looking at some questions that we didn’t have the answers to that I thought we needed answers to like what is ethical leadership and why can’t we agree on a definition? Why is everyone describing it so differently? And how can leaders learn it if we can’t even explain what it is, how can we bring it to life for them in a practical way? Kate: I’d like to talk about ethical leadership a little bit later. But now I’d like to ask you what are the good sides a good leader should have? Or maybe what are just the basic skills that a good leader should have? Linda: There are many different aspects to that. One of the things that I do is I look at the multiple dimensions of things. Work is really complex and leaders have to deal with changing laws, increasing expectations for ethical business, rapid change and so one of the things that means to be a good leader is to understand that consumers are expecting more. Social media means that people are aware of bad decisions and people want to support good companies when they buy. They don’t want to be associated with an unethical company and also when companies are ethical they tend to treat people well and their employees will treat their customers well and that will attract more customers and it creates a positive cycle for the organization. So today’s employees are looking for a leader who makes time for them and helps bring out the best, helps them further their career and is also making a difference in the community and in the world, not just someone who treats them well but someone who is making a positive difference. And someone who inspires them to really be better than they thought they could be. Someone that really stretches them a little bit outside of their comfort zone to reach their potential. And the qualities of a leader will determine whether or not leaders are gonna to be able to attract top talent to the organization and to their team. When they’re trustoworthy and they demonstrate integrity when they have consistency between what they think and say and do and people can count on them and when they make it clear that they know that leadership isn’t about them, it’s about leading others, it’s about bringing out the best in others then that kind of leader will attract top talent to the organization and one of the most important things that leaders need to do is to understand the context in which they lead and it’s changing so rapidly it’s a very difficult thing to stay on top of. So they have to be open to learning. They have to be willing to accept and explore the complexity of our work, workplaces, and our world. Often the ethical mistakes that we hear about in the news happen because people don’t take time to think about the ripple effect of their decisions before they make them. And we really have to consider the needs of multiple stakeholders. They all might have different needs, and we have to stay on top of changing expectations for what good business means. And those expectations are increasing as times goes on. Kate: And I wanted to ask you why do people fail as leaders but I think you answered that question in some part but do you think there’s maybe something else, the reason for which people fail as leaders? Linda: Yes, you’re absolutely right. Sometimes they don’t think about what they’re deciding before they do it or how they’re treating people. But there are also many, there are dozens or hundreds of reasons why things can go wrong and I have written about this on my blog. It could be an individual problem, the person isn’t self-aware, they’re not competent, they’re not stopping to think about what’s going on, they might be giving into their ego or greed or all sorts of problems in their decisions making. Or they might be just responding to the culture of the organization. Maybe someone in the organization who broke the rules and did some bad things, maybe they got promoted. And maybe this person says, “oh, well, that guy got promoted, so I’m gonna do what he did so I can get promoted.” So it’s partly also the organization’s expectations, how clear they are, and whether people are following the lead of other people who may not be using the highest ethics because that’s allowed or sometimes even encouraged in the culture. So could be individual things, it could be more related to what’s going on in the organization but there are probably hundreds of different ways that things can go wrong which is why this is such a complex topic. Kate: And do you think there are maybe some particular methods or practices which can help in avoiding that or making us a better leader or maybe it’s not worth to pay attention to such practices or concepts? 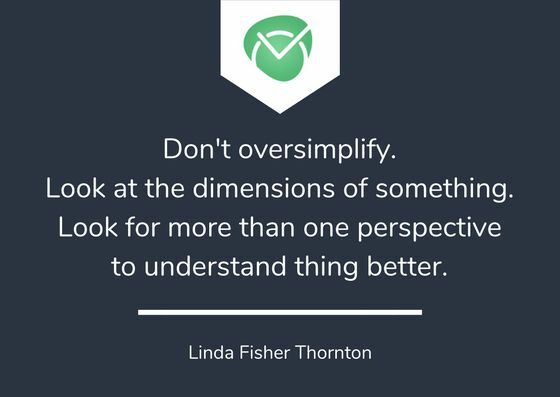 Linda: I think, what we can do is not oversimplify. One of the things that I’m trying to help people realize is that it’s easy to oversimplify decisions and not really look at the bigger picture, look at the context, look at your role in it, your responsibility to others. And we’ve defined ethical leadership so narrowly, you know, some people would say “oh, it’s having good character.” I think it is having good character but it’s also many other things. Like taking care of the planet and taking care of people and many other aspects. We need to stop boiling it down to just one or two things and look at the multiple dimensions of it. Because a choice could be ethical in terms of people, for example, but it might be a terrible decision in terms of the planet. So it’s not as simple as “is something ethical or not” it is “how ethical it is in all of these different dimensions.” And my book is called 7 Lenses because I believe there are 7 different dimensions of ethical responsibility that we have to think about in our leadership, not just in our individual decisions but also in our strategies and our goals and our approaches. So not oversimplifying things to “yeah this seems like a good choice but let me look at this” really using a framework that will help me make sure I don’t forget something. Kate: So the most important question is what is an ethical leadership? 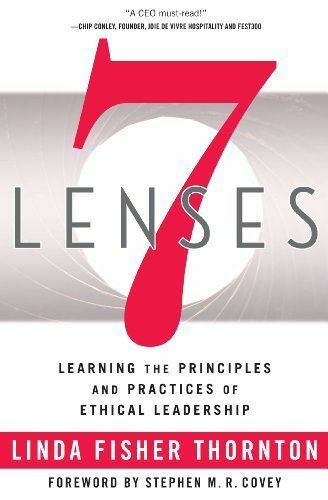 Linda: Yes, my book 7 Lenses defines ethical leadership in 7 different areas of responsibility. I’ll walk you through that a little bit just so that everyone can understand what they are. Only when you put all of them together do you see the whole picture of ethical responsibility instead of just looking at it in terms of one perspective. Now profit is included in the 7 Lenses because I wanted to help leaders get passed thinking that profit and ethics were mutually exclusive and to see that they really have to go together. And, also, many people have thought that the triple bottom line, profit, people, and planet was all they had to worry about in terms of ethics, and it’s really not that quite simple. So I help them how those elements fit into a bigger framework. Because profit is important because organizations have to stay in business, even non-profits have to manage money and fundraising and handle money responsibly. So they have to keep their organizations at the flow and think about money but ethics at its best is when we set aside concerns about money and personal gain and do things that are best for others, that’s really what the essence of ethics is about. So, to introduce you to the 7 Lenses. Lens 1 is profit. How much money will it make? Lens 2 is law. How can we honor all laws and regulations? Laws are the minimum standard of acceptable behavior in a society. So we move on to Lens 3 which is character. How can we demonstrate moral awareness and confidence? And this one is really important and so often overlooked. Lens 4 is people. How can we respect and care for people and bring out their best? Lens 5 is communities. How can we improve life in the communities we serve? And Lens 6 is the planet. How can we protect life, nature, and ecosystems? And Lense 7 is the greater good. This is the highest level and the longest term of all of the perspectives. How can we make life better for future generations long after we’re gone? And this is about leaving a positive legacy through our leadership. So only when we look at our choices through all 7 of those perspectives, do we see the whole picture? And instead, everyone has been tending to look at one thing or even maybe two, for lucky, and make a decision without looking at the longer-term impact. So this model has those longer-term constituent stakeholders build into it so that it helps people think through them. And the beauty of it, when I work with groups, is that we can remember 7 things, it has the same number of digits as a local telephone number. So it’s easy for people to remember when they don’t have their materials in front of them, to kind of go through it as a mental checklist to make sure that the decisions they’re making are going to be positive in all of those different areas. Kate: When you talked about these 7 Lenses, I was thinking about people. Bcause I think they constitute in how we treat other people and how do you think we can lead a team as a leader? How to make it in the best way, considering the ethics. Linda: That’s a great question. People want to be treated well. They wanna have meaningful work. And how their leaders treat them tells them whether or not they matter to the organization. So leaders have to show they care about people and some of the ways they do that they show respect for others as individuals but also respect for differences. Seeing differences as an asset to the organization, those different perspectives help bring them the full picture when they’re doing projects and that sort of thing. And we have to show that we want people to succeed and we have to put our full support behind our success and also the people lens gives access to think about avoiding harm to people. So if we’re manufacturing a product that makes safety really important, how can we make sure that we’re making the best decisions to treat people well. And when we treat people well, it creates a positive cycle within the organization that helps drive bottom-line results.So what happens is when you’re giving this kind of caring respectful leadership throughout the organization, great talent wants to come work for that company. Because it’s such a positive environment and then generally will have a high level of trust. And then the employees are highly engaged in settings like that and they’re happy with their work, they wanna stay, and then they’re gonna delight your customers, and your customers are gonna want to stay and the whole process increases productivity and drives increase profits, return on assets, and really gives the company acompetitive advantage where we have learned that ethics isn’t just the right thing to do because it’s the right thing to do, it’s also the right thing to do because it drives the economic engine of the organization today. We know this so this kind of positive leadership. Leaders have to live out their values, not just talk about them. One thing we know is that most companies have stated values but not very many of those companies, less than half, actually live them out consistently on a daily basis. So people say “yeah we have this but I don’t see this happening in the organization.” And so when you say respect is a value, for example, you have to treat every person with the highest respect even when you’re having a bad day, or even when someone didn’t treat you with respect. You still have to treat others with respect and rise above the distractions of leadership to make people feel valued and create those safe high-trust workplaces. Kate: I’d like to ask you also, because you mentioned treating people and making decisions, what should a leader consider when making a decision and when it comes to treating other people as well? Linda: That’s a good question. One of the things in my book is, besides the 7 lenses, it also has 14 guiding principles of ethical leadership in four quadrants. And quadrant 2 is lead in ways that bring out the best in others and that is so important, it’s about trusting others to do a good job and being trustworthy for them communicating as much as you can openly and transparently with people and respecting others, respecting boundaries, respecting differences. All the things that create that positive environment. 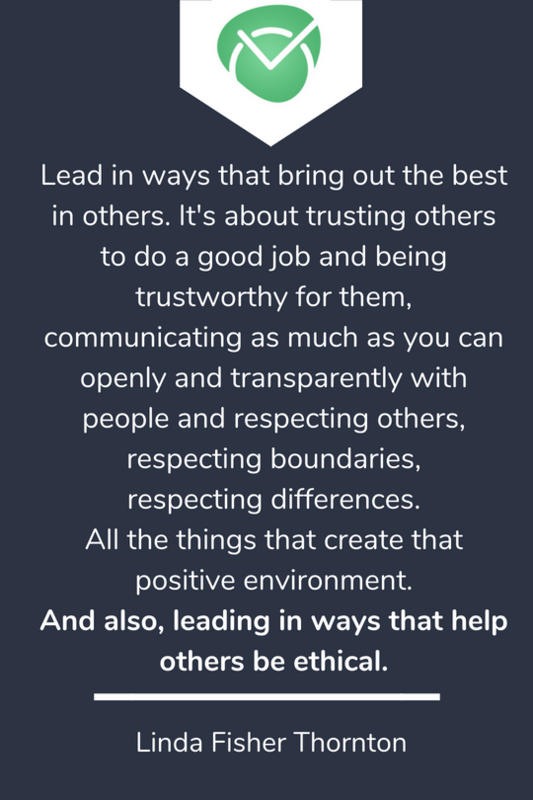 And also, leading in ways that help others be ethical. That’a an important piece for leaders because some leaders will say one thing and do and do another, so for example, if there’s required ethics training and a manager just slips in the back, comes in late, sits there for 15 minutes and then leaves, then the message to the people in that training session is, this is not important, this isn’t worth my time. And so they’re more likely to see that as not important and they’re less likely to apply what their learning there so that leader would not be leading in ways that would lead other people to be ethical. So you have to be that role model, you have to give them something positive as an example so that they know what to follow in addition to taking care of how we treat people on a daily basis. Kate: And how do you think we can manage risk as a leader? Is it possible somehow to predict a risk? And I mean the entire company, the risk connected with people, with profits, money in general, with every aspect of the company? Linda: It’s an interesting question because it depends on how you define risk. Some companies define that really narrowly. Like, let’s not get sued. And so if you think risk means let’s not get sued, then you’re thinking through the law lens. It’s just very low level but it’s important so you do things to stay out of jail and you don’t wanna get fined and you don’t wanna get sued. The problem with managing risk at that low level is you’re not taking into consideration all the things we just talked about, about how to treat people well. And that’s at a much higher level than just avoiding the fines and penalties but people have higher expectations for how they’re treated now, we have laws that prevent bullying in the workplace, we have learned that leaders that create a high-stress environment, unintentionally treat people negatively affect their health. People have much higher incidents of diseases and health problems in environments like that and so there’s less tolerance for treating people that way. So I think one of the most important ways to reduce risk is to aim higher when we’re talking about values, not just aim at the level of staying out of jail or avoiding a fine or penalty but really aiming at the level of the values because laws generally have values behind them but it’s not written in, you have to figure out what it is. Kate: So you said about aiming higher, and I’m thinking how can a company stand out from the competitors and how to make a difference? Linda: That’s a great question, there’s something now really important called ethical brand value (EBV) and it’s a real differentiator and it’s tight directly to the bottom line result of the company. And people look at the ethical brand of a company and they use that to help make decisions and there are some reasons why ethics impact the value of a company in the value of a brand and that’s because customers are thinking more before they buy about the ethics of the company and they’re looking closely at that and they wanna make more often responsible consumption decisions. If I can buy something that was made using appropriate label, not child slave label or any of the things that I wouldn’t wanna associate with me, then I’m making a positive decision. And so they vote in a way for ethical businesses by purchasing from them. And they expect companies to be ethical and when companies aren’t ethical, don’t treat people well, of course, that’s all over social media, and that immediatey cause the stock price of a company to drop because people say “oh, this is not good, this is not the way we wanna be treated, this must not be an ethical brand” and it literally pulls the financial indicators of the company down, at least for a while, while the company tries to figure out how do we prevent that from haeppning again, how do we send a positive message that we are an ethical brand, we are an ethical company. So helping leaders how to think about these issues and how to keep company ethical and make a positive contribution. One of the things that we also have to think about is a lot of the problems that end up in social media may not be done by leaders, they might be done by lower level employees who didn’t get the message that ethics was so important in the company. So leaders have to spread that word. Instead of just talking about the sales goals, they have to talk just as much about responsible business practices and ethics. Otherwise, people might think that profit is more important to them than ethics. And they might think it means, do whatever it takes to get where you wanna go. So leaders have to not just live out the values but teach all of those that are on their teams how to do it so that mistakes don’t crop up from people not understanding how important that ethical brand values is. Kate: I would also like to ask you about your book 7 Lenses which is now in its second printing. What inspired you to write it? Linda: That’s an interesting story. I’ve mentioned that I had been noticing a gap between what the leadership model said about good leadership and not including the values built in and I attended a symposium at the University of Richmond where I teach, it was about ethical leadership. And every speaker was really intelligent, and it was a fabulous conference but I left with the big question. They were speakers on things like sustainability, and information privacy, and political ethics. And every topic was interesting but I left thinking “how does all this fit together?” If I need some bigger picture to help me understand how all these things relate to each other, where’s the framework? So I want them to have that roadmap because it just seemed like it was a giant gap where a tool should be and I undertook the journey of doing that research across disciplines to find out what people thought good business meant. And I didn’t just look at what the ethicists throughout time had said and in all different countries, but I looked at what the emerging groupd where saying about the leadership, the global groups through the united nations that go around table and organizations that were saying “here’s the high standard we think we should be aiming for” and then I put all of that together in a giant spreadsheet, try to make sense out of this in the way that leaders could end up with something simple enough and straightforward enough that they could apply it in their daily leadership. And I’m really excited about the second printing because I think what it says is that it’s the right tool for them at the right time. There’s a lot going on in the world right now, highly complex ethical issues. And so I think it’s timely for people to have such a tool to help them see the nuances of ethics as they are going along in their leadership and wanting to make it positive. Kate: Yes, the book sounds great and really inspiring and I believe everyone should read it, especially people who want to become leaders. And tell me, what books do you read to maybe get inspired and to stay on top of your work? Linda: I like variety of books. I like to read about ethics in human development and leadership. I like books about systems thinking and other kinds of leadership thinking. Books that are focused on the future and also how to work better together. I’m currently reading “Radical Candor” by Kim Scott for one of the bookclubs that I’m in. But I like books by Robert Kegan “An Everyone Culture” for example and books by Daniel Pink, Chip and Dan Heath, Margaret Wheatley, there are so many good author but those are some examples of some of the books that I enjoy reading. Kate: I’d like to ask you if there’s a number one rule in your work which you cannot imagine your work without? Linda: I’m gonna have to say that number one rule would be, don’t oversimplify. Look at the dimensions of something. Look for more than one perspective to understand thing better. I think we’re learning in the world that looking from a one persepctive and then trying to explain something isn’t gonna work. It isn’t going to give people a sense that you really understand something and they won’t have a high level of confidence but you really need to look across the disciplines because disciplines, things like science and education , those are artificial boundaries that we set up to learn more about something, we drew a box around it. But those artificial boxes don’t live in the real world. So our problems don’t stay inside disciline boundaries, they cross those boundaries so we really need to be learning across those boundaries and to understand what’s happening in the world, and I researched my book in that way looking across the traditional disciplines that one may look at in terms of understanding ethics in leadership. So don’t oversimplify, dig into it, look at things from more than one perspective. Kate: And my last question is connected with the name of the podcast Stay on Top of Your Work, how do you stay on top of your work? Linda: It’s a constant challenge as for all of us. I am working on doing more digitizing, streamlining, keeping my work focused, I’m always learning. One of the things that I always make time for is learning new things because I think that’s so critical and making time to think. 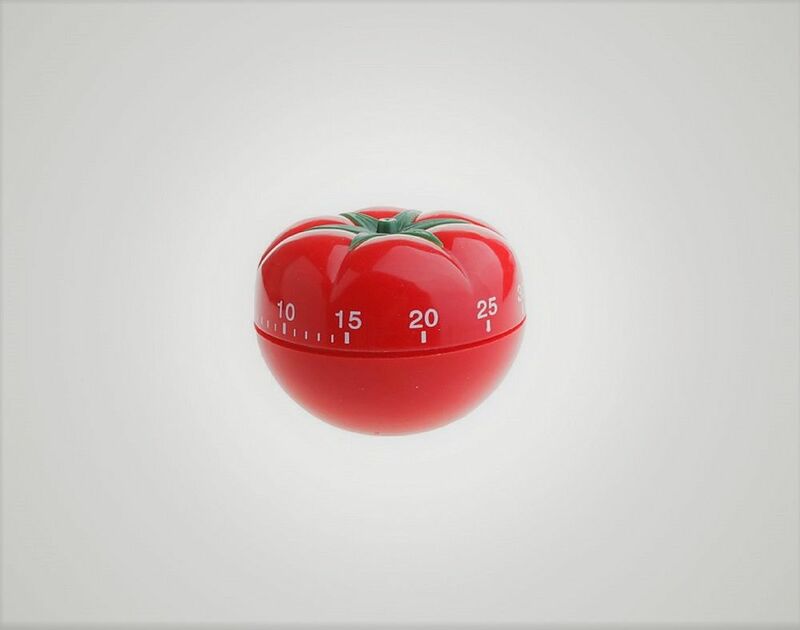 A lot of leaders don’t make time to think but that’s really important if you’re about to undertake a big project r some important work. Taking time to think about what your goals are, what your stakeholders are looking for, and how you can add value for them. I also see that technology tools as critical to our future as we take on more work, we need to use the tools to make it simpler, they help us stay organized and focused. One of the big challenges that I am currently looking to is when we are designing tools including artificial intelligence, we have to make sure that ethical thinking is built in. Because as we get more and more reliant on artificial intelligence, we need to make sure that people are cared for from ethical standpoint things like the data privacy, their safety, preventing harm to them. So that’s something I’m currently researching as the whole ethics of the internet of Things and artificial intelligence. It’s such a huge issue for a future. Kate: Linda, thank you very much for your useful tips and your answers. It was my pleasure to talk to you and I wish you all the best. Linda: I enjoyed it, thank you. Kate: Thank you very much! We got some really useful tips from Linda today. Let me know in comments if you enjoyed the podcast and what you’d like me to talk about with my future guests! Stay tuned for more and until next time! And don’t forget to read her book! Now in the second printing. Did you enjoy the podcast? Let us know in comments what topics you’d like to be covered in our podcast! Stay tuned for the next episodes!